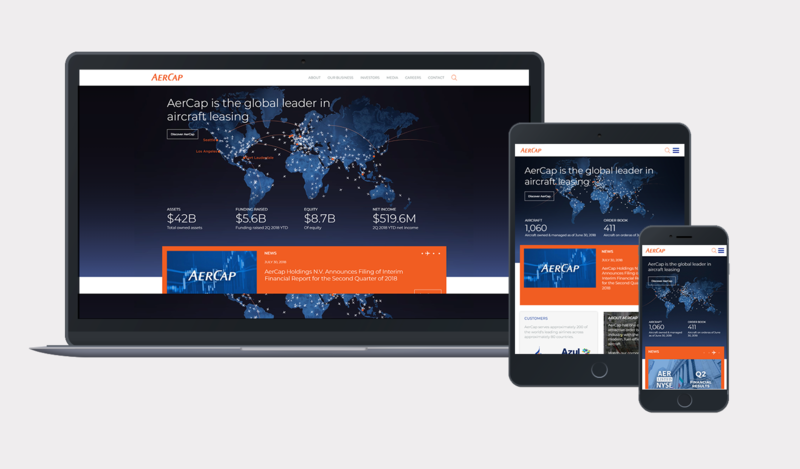 AerCap is the world’s largest independent aircraft leasing company. 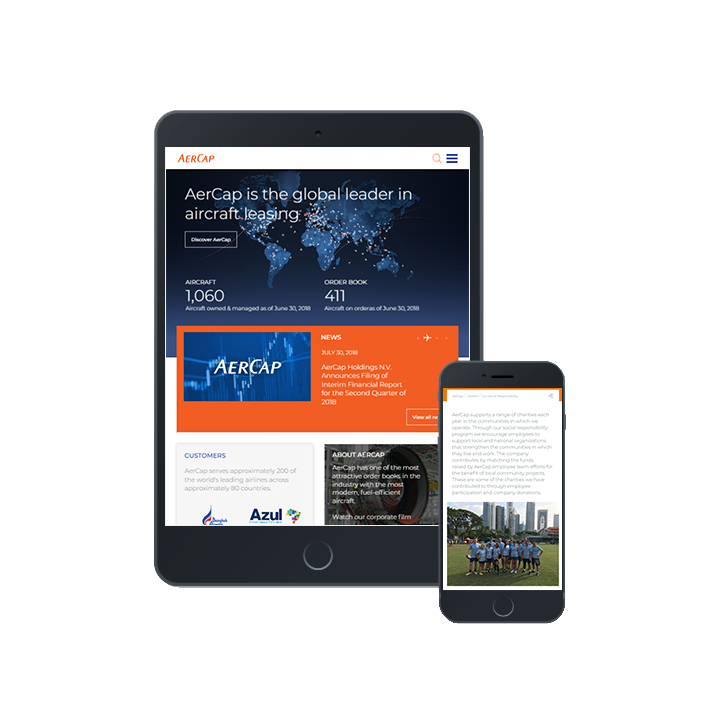 AerCap serves over 200 customers in approximately 80 countries and is the largest owner of commercial aircraft in the world. It was important that the new website clearly reflected the position of the company and ensured easy access to information for users. Bluegrass Digital were selected as technical partner to support international business communications consultancy Instinctif with the delivery of the new corporate website. 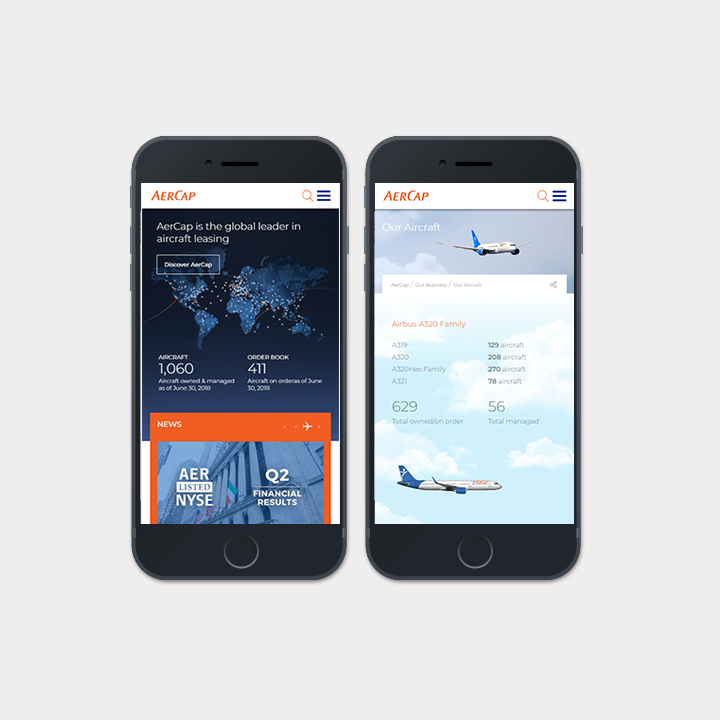 The new website followed a thorough content development, UX and design process. It was important that the website was designed and built to a high-standard. Additionally, a robust content management solution was required to support the corporate communication team in managing site content and features. The result is a modern and professional new corporate website that represents a company that is a leader in its industry. The new site has been recognised by industry bodies and achieved a Silver for Best International Corporate Website at a recent awards ceremony in London. The new website provides for a intuitive and user-friendly user experience and is supported by Umbraco CMS, a robust, secure and easy-to-use content management system. Together with Instinctif, we continue to provide ongoing managed support services.